← Do You Know What To Say??? 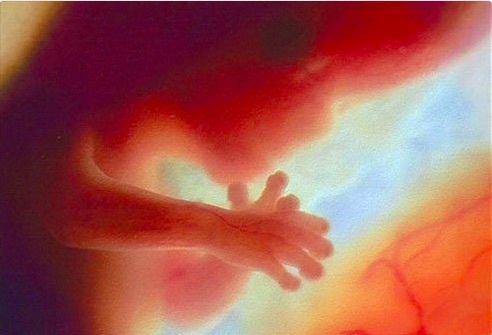 Pro-lifers say every abortion takes a human life – and surprisingly, many abortionists agree. Abortion is killing. Nobody can argue with that. When the fetus is inside the uterus it is alive and when the pregnancy terminated it is dead – that by any definition is killing. … I think abortion is the destruction of something which is potentially irreplaceable, human and of great value, which is the tragedy of abortion. But it is not of greater value than the woman seeking the abortion. I can now say openly that I do think I am ending a life every time I do an abortion, but I do it as someone who has certain skill which is put at the disposal of a woman who does not want her pregnancy to continue. I do not regret all the agonizing – it has helped me to understand the problems that each woman faces when deciding about her abortion. I’m not taking that life [of the baby] out of anger or cruelty; I’m taking that life for a purpose. I feel like the American Indian did-I’m saying a prayer to that animal: Give me your life so that I can accomplish this purpose, ‘speed thy spirit on to other places’ so that the life that is lost will one day be replaced. This unnamed abortionist freely acknowledges that what he does is killing. He compares himself to a hunter who has killed an animal, presumably for food. But a preborn baby is not an animal; he or she is a human being. The abortionist, as a doctor, knows this. Humans give birth to human beings. Two human beings will never have nonhuman offspring. A pregnant woman will never give birth to a duck or squirrel. A preborn baby has his or her own human DNA from the moment of conception. The abortionist admits he is killing, and the only thing he can be killing is a human being. The abortionist’s “prayer” to the baby he has killed asks the baby’s spirit to “move on to other places.” Whatever one believes about the afterlife and where the souls of aborted babies go after they are killed, it is clear that the abortionist is deliberately depriving the child of this life. And the baby that is lost is irreplaceable. The aborted child had his or her own genetic makeup that is different from that of any other person who has ever lived. This genetic makeup is different from anyone who ever will live. In a billion years, if the human race still exists, the combination of DNA that resulted in this child will never appear again. A preborn baby is a distinct human life, which, like all of us, is unique and unrepeatable. This “kind of life” is human. The abortion workers justify abortion because it gives a woman “freedom” they feel she would not have otherwise. They justify the killing. But they do not deny that the killing takes place. I don’t approve, but it doesn’t matter if I don’t approve. I’m doing my job. I’m doing what I’m trained to do, and so is Doc – it’s better than that back-alley sh*t! These girls put themselves through hell over this. The punishment is themselves. They don’t need people outside to tell them they’re going to hell. The later ones, though, they’re bad – you see little arms and feet… little, but you know what they are, and you know what’s really being done. She knows that what is “really being done” is the actual killing of a real human being. It seems that this abortion worker might be receptive to pro-lifers’ efforts to reach out to her. She realizes that abortion is wrong, and that it hurts women and kills babies. She may be right on the edge of quitting her job. When you go sidewalk counseling at an abortion facility, keep in mind that there may be workers like this woman. Reach out to them with compassion, and refer them to And Then There Were None. Many (though perhaps not all) abortion workers know they are taking a life every time they commit or assist in an abortion. This stands in contrast to pro-abortion advocates who claim that abortion is just the removal of some “tissue” or “cells.” Those who witness abortions every day cannot hide from themselves the reality that abortion kills babies. This entry was posted in abortion and tagged abortionists and abortion workers admitting that life begins at conception and/or that what they do is killing, “Back-alley” abortions were not the scourge pro-abortion activists claim, baby that is lost is irreplaceable, genetic makeup is different from anyone who ever will live, hurts women and kills babies, own human DNA from the moment of conception, the combination of DNA that resulted in this child will never appear again, the reality that abortion kills babies, tragedy of abortion, you know what’s really being done. Bookmark the permalink.